In January 2016 SIS restructured internally in order to respond to the growth in numbers and strategically prepare itself to keep abreast with the international education developments and challenges of the coming years. The new structure relies on increased ownership, and stronger communication and cooperation across different school levels. 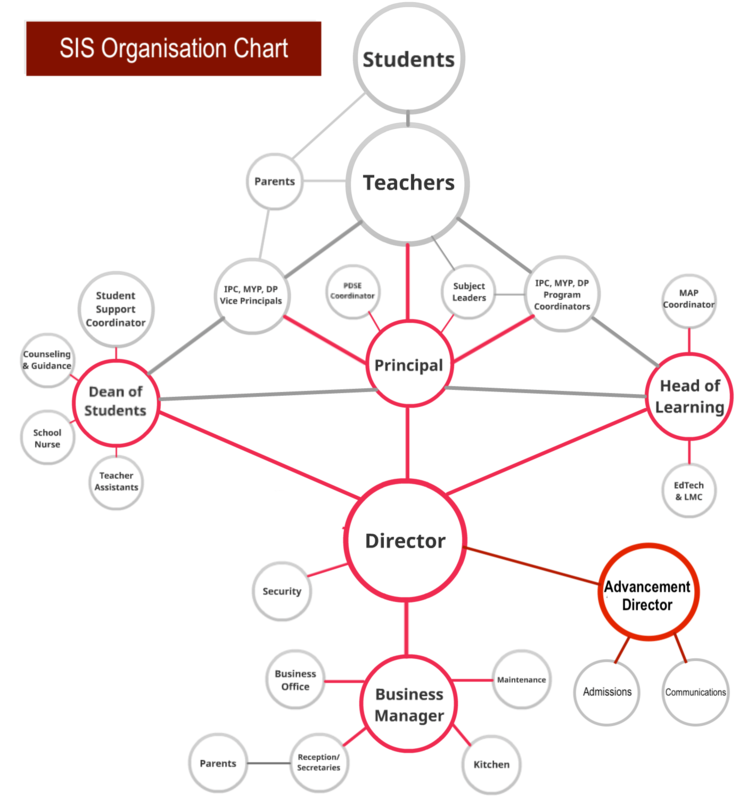 The key lines of communication for faculty, support staff, students and parents are outlined in the chart.